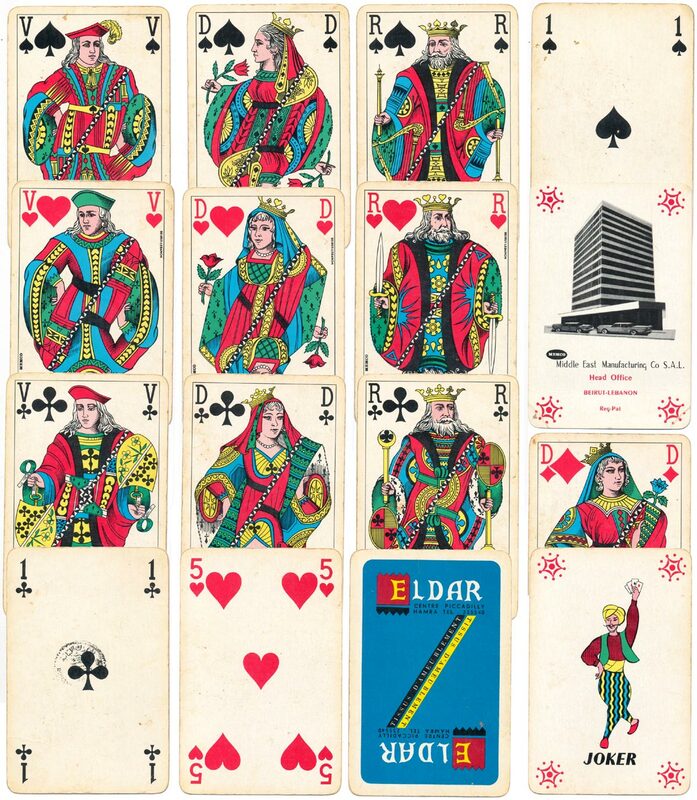 Promotional deck produced to advertise the products of the ‘Eldar’ upholstery fabrics store produced by the Middle East Manufacturing Co (MEMCO) of Beirut, Lebanon, c.1960. The vibrant cards have French indices and a mixture of French and English texts on the box and extra cards. 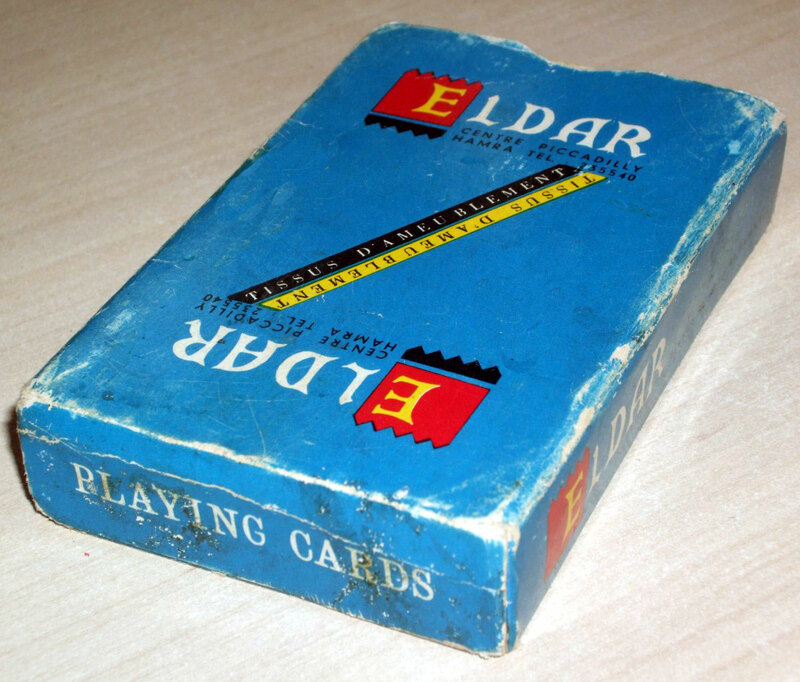 Above: ‘Eldar’ upholstery fabrics advertising deck produced (probably imported) by Middle East Manufacturing Co (MEMCO) of Beirut, Lebanon, c.1960. 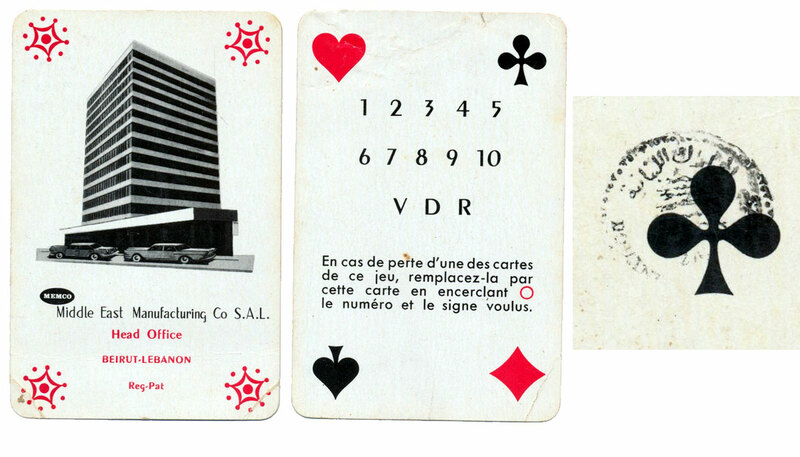 The legend “Memco Beirut Lebanon” is printed on the three hearts court cards and on the extra joker, which also shows a photo of the head office. The Alibaba joker holds a fan of four aces. The customs duty stamp on the ace of clubs, which is barely visible, has an inscription around a cedar tree. Images courtesy Matt Probert.